I never thought watching the BlackCaps play would transport me back to 3rd Form Latin. But there you have it. Days 1 2,3 and the first session of Day 4 had me thinking nil mortalibus ardui est- nothing is impossible for humankind. I was very quietly confident about what we had seen from the BlackCaps bowling attack thus far. 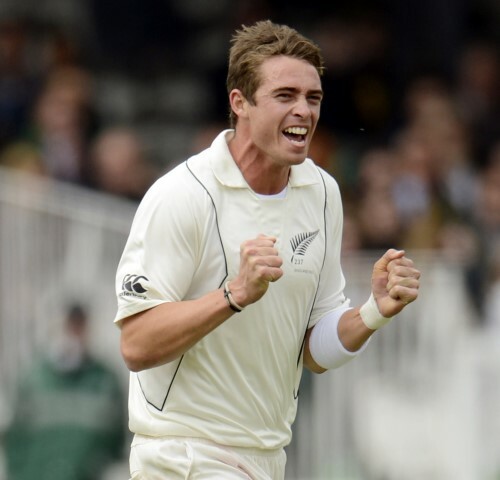 Tim Southee taking ten wickets for honours at Lords looked to have sealed the deal. Surely, getting 239 runs was not impossible. Bearing in mind that our last two Test victories were against Sri Lanka and Zimbabwe. The BlackCaps are ranked number 8 and the English are number 2, which kind of puts things in perspective. In typical kiwi style, I was very quietly confident- no shouting from the rooftops for me. After all, I've been burned before. I loved watching the footage from Lords. It's the first time I've seen a match played there since 2011 when I was there in person. It's more exciting when you can picture the Nursery Ground and the Members stand in your minds eye. I closed my eyes for a while and remembered sitting in the Grand Stand, shivering with cold, drinking Pimms and chatting with the elderly West Indian gents seated behind me. They were great fun, sitting their with their sensible pink woolly blankets that their wives made them bring. I think they genuinely enjoyed my company as well, laughing away with this mad, candid New Zealand tourist while her brother sat alongside her shaking his head at her forwardness. Far too much Antipodean spirit in me, and not enough left in him after ten years in London I suspect. This is the same brother who said to me on Sunday at lunchtime- "they're going to lose you know". To which I responded that he should "wash his mouth out". Unfortunately, I then had to babysit for him on Tuesday night and he loved telling me he was right. Annoying little brother. Anyway, back to Lords and the Test. OK we lost. Badly. But it was only one bad hour. After more than twenty good hours. I'll take the good memories away from that match, and carefully forget that ugly hour of capitulation. It is hard work staying up late for five nights in a row supporting your team though, and it does take a toll on your good looks and good humour. It's also a kiwi tradition, spending the night on the sofa under a blanket with your vogels toast and marmite, and hot cups of Milo. We've all done it as kids, and some of us continue to do it. But I'll do it again , and gladly. I love it even more now that I can be having Twitter conversations with other cricket watchers around the world whilst watching. I love all the trash talk and the sledging- it makes it all more interesting. So we are 24 hours away from the Headlingley Test. This time tomorrow I will be set up ready for another big night on the sofa. I'm not unhappy about that. In fact, I'm looking forward to it. Nil Desperandum - Never Despair. That's the Latin phrase that sticks in my mind now. Go to it Black Caps!